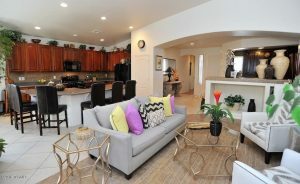 By Design Realty put 4232 N Sunset Cliff Drive under contract in about a month’s time; the List Price is $334,999. It has 2,074 square feet, a two and a half car garage and it boasts new carpeting. This shows homes are selling quicker and prices are moving up as the market improves! As interest rates go up, more buyers are getting serious about purchasing. If you are interested in selling your’s or want to look at any of the Sabino Mountain homes listed for sale give me a call at 520-615-2598 or email me at Donna@DonnaAnderson.com. There were 15 homes that sold this year with prices ranging from $294,900 – 1.2 million. 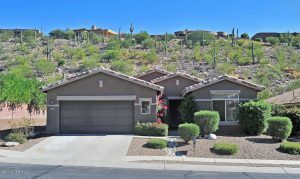 My compnay-Tierra Antigua Realty-found the buyers for the most expensive sale of 1.2 million that was nestled in the second gated area of Sabino Mountain in “The Retreat”. Most of the sales were in the $300,000s. With interest rates moving up, it is likely there will be more sales in 2017 than this year. 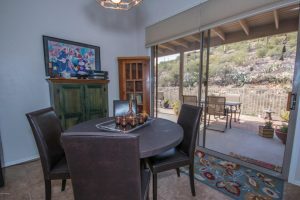 If you are thinking of selling your Sabino Mountain home call me at 520-615-2598 or email me at Donna@DonnaAnderson.com. I have sold 15 in our community and promise excellent service. I can also help you explore other Tucson neighborhoods or help you find an excellent real estate agent in another locale. 4317 N Sunset Cliff Drive, listed by Long Realty sold for 360K. This almost 3K square foot two-story home has the popular floorplan with the first floor master bedroom. It last sold 4 years ago for about 3K more. It has such upgrades as some engineered hardwood floors, newish upgraded stainless applaiances, nest thermostat system and new ceiling fans. It boasts a flagstone patio with fireplace and fruit trees. 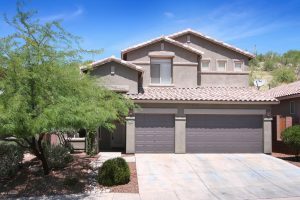 Another great priced home sold in 118 days in Sabino Mountain! It Only Took 4 Days to Put this Beauty Under Contract! 4249 N Ocotillo Canyon Drive that was listed by Exp Realty went under contract after being on the market only 4 Days! The incredible price of 320K seemed to assure this one would not last. 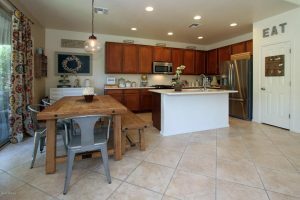 It boasts a 3 car garage, all new ceramic tile floors, fresh paint, 42″ cabinets, granite counters in this slightly over 2K square foot home. It last sold for 319K one and a half years ago. Buyers should jump to Buy this One! 4249 N Ocotilo Canyon Drive is listed at 320K by Exp Realty. 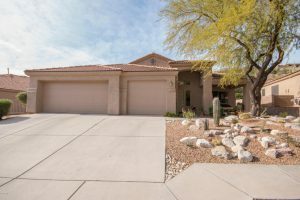 This is a fabulous offier; with over 2K square feet, 3 car garage and new ceramic tile, 43″ cabinets, fireplace in family room, granite counters. This special home will go quickly; if you are interested in viewing it, call me at 520-615-2598 or email me at Donna@DonnaAnderson.com . You are currently browsing the Sabino Mountain Blog blog archives for December, 2016.